Audiophile sound combined with convenience, plus a high-performance cartridge and built-in phono stage. Pioneer introduces a true audiophile turntable that makes listening to records easier and more rewarding than ever before. Everyone knows the joys of spinning a treasured LP, with its warm, rich, accurate sound and a sense of aliveness that rivals or surpasses even the best digital formats. The new Pioneer PL-30-K turntable allows seasoned vinyl lovers to upgrade their existing phono system, while new-generation music listeners can explore the thrill of collecting and engage with music in a way unique to the vinyl experience. 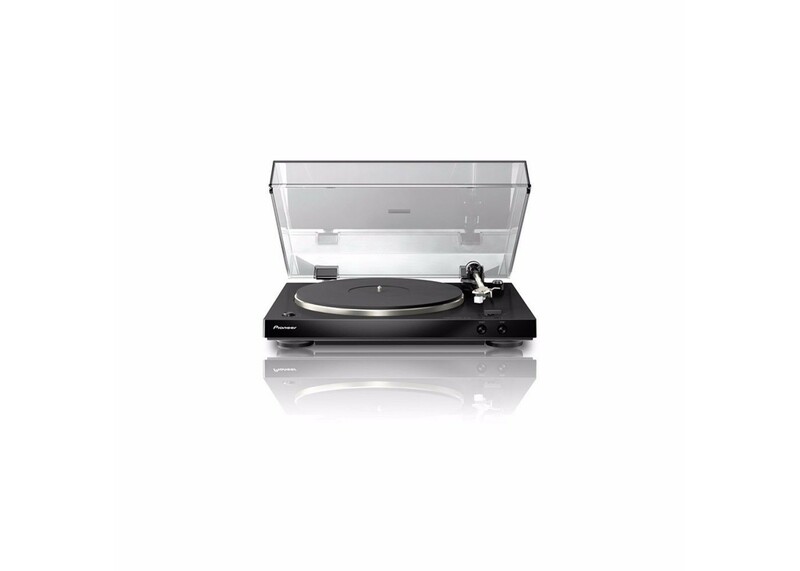 This impressive turntable- at more than 12 pounds- is engineered with a dual-layered chassis that employs a 4mm-thick metal plate for increased mass and rock-solid sound. It has been designed with a low center of gravity that provides stable playback and sound that’s free from feedback and resonance that compromise the potential buried in the grooves of the best LPS. A combination of DC-servo-controlled motor and belt drive offer the most musical performance, with low wow and flutter (0.1% or less WRMS) and a signal-to-nose ratio of 60 dB (DIN B). Pioneer’s precision machined, aluminum die-cast platter supports a 5mm-thick rubber mat that suppresses external vibrations while treating your precious vinyl with the greatest of care.